I received this from Amulet in exchange for an honest review. As always, my reviews are fair and non-bias. 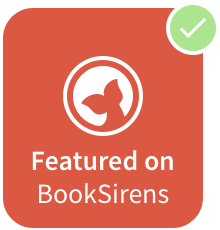 I read the Goodreads description after hearing about Otherbound from the publisher and was immediately intrigued. I mean, when Nolan closes his eyes, he's in Amara's world?! That's just too good of a premise to pass up. Nolan lives in our world - Earth - and he has epilepsy, or so they think. But Amara isn't from our world - she's from a Fantasy world that only Nolan can see into. For a while, Amara has no idea of his sight into her world, until his new medication has an effect that means Nolan can control and visit Amara's world through her, instead of like before, when he could only see her world when he blinked. Everyone thinks Nolan has epilepsy because he kept being seen as unconscious. But Nolan knows he isn't, because of Amara. All they want is to be freed of each other when Amara finds out of his ways into her world, but when he can actually control her in her world it seems that the only way they can break free of each other is for them to work together. Amara is very much in love with her love interest in the book, so much so that she believes that her and Maart - a sweet, protective character that comes across that he treasures Amara as much as she does him - will be together no matter what. They are both servants in her world, and nothing could break their bond, which is similar to the bond that Nolan shares with his sister; Pat. They are close and protective of each other and it was so refreshing to see a sibling dimension to the novel too, which was a nice touch. There are so many intriguing characters and roles in Fantasy and reality in Otherbound (Cilla, Jorn, Pat..) that it's literally made up of characters flawed and diverse, so much so that they are real. They are multidimensional and seem so rare and visionary, with real-world characteristics and actions. Otherbound is not just your standard heard-it-all-before book and run of the mill characters. In that way and in so many others with it's enthralling and vivid factors, it's truly one of the best Fantasy books I've read in a while and reminded me why I love these types of books. 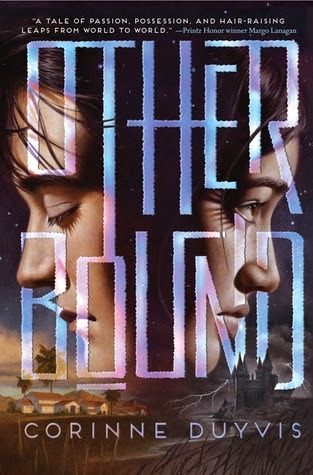 With adventure, a captivating journey from a contemporary world to fantasy, Otherbound will surely be on my five-star reads recommended list for a very long time. Even though I didn't want Otherbound to end, the ending was probably my favourite part, in that surrounding scene it was just especially when I thought: "Woah, I actually loved this...how long have I been sat here reading? Almost all night?!" Fantasy YA book readers will adore this, alike readers who like Paranormal and Magic-filled books.